We talk a lot of about design, development and user interfaces and experience and how they contribute to a successful website. These are all givens for designers and developers. We know an interface that looks nice and is highly usable will be popular among users. But did you know that something such as server speed is just as important? No matter how great your website looks, if it is slow to load, users will turn away. That’s why a tool like Bitcatcha is so important. The server speed checker can help you see if you have hidden issues that you need to address. You may think server speed is one of those things that is beyond your control. Not true. It’s your website and you can choose the type of hosting that runs the site. It’s not as complicated as it sounds. When considering a host, you want to think about server response speed. That’s how long it takes the host server to understand that someone is accessing your website and provide information. It’s not exactly the same thing as page load time, but it directly impacts how quickly a page will load. The response time of your web hosting depends on the quality of its network and hardware, whereas page load times can also be impacted by other factors such as your code, caching and content delivery system (all things you have probably already checked for speed). Pages that are slow to load have higher abandon rates. Mobile page loads must be as quick as desktop versions or users will be unhappy with the user experience. Users have an attention span of less than 6 seconds, but would you really wait that long for a page to load? Speed can impact search engine ranking and overall user experience. It’s official. Google added page speed as a factor that contributes to overall ranking. While mobile adoption has been a little slower, it too was incorporated into the algorithm this year. That alone is enough to make you consider how fast your website is running. According to Google, a server response speed of 200 ms if your goal. Does your website hosting meet this goal? It’s worth checking! Page speed is one of the top things a user notices about your website design. Users expect a quick and seamless experience from device to device no matter where in the world they happen to be. Your server speed impacts how users ultimately feel about your website and brand. So how fast is your hosting? Check it right now for free. Bitcatcha has a unique server speed checker that will tell you exactly how well (or poorly) your server host is performing. The test only takes a couple of seconds and it is absolutely free. Now for the moment of truth. What kind of grade did you get? Was it less than stellar? If so, it might be time to rethink your hosting environment. Particularly for WordPress websites, it might be time to consider a managed hosting platform. If you are trying to host everything yourself, this is a major upgrade. A managed hosting plan probably only costs pennies more than your current plan and it covers all the technical stuff so you don’t have to think about it. Managed hosting keeps your website up to date with all the technical standards and protocols so that it is fast all the time. Plus, managed plans come with additional security features to make you (and your users) feel safe online. If you are in a hurry, but need a new host try eHost. Bitcatcha graded this option with a B, it’s inexpensive and has everything a website owner needs. Go see the report for yourself. Your Bitcatcha report is free. (You can actually check any website you want.) What’s most helpful about the report is the understanding that comes with your response time grade. How does your website compare among peers or against the web as a whole? How does the grade change by location? You can see speeds in different locations, and if all of your users come from highly ranked locations, your site is performing well. This report is the start of better understanding your website performance and what you can do to improve it. If your site isn’t performing as well as you would like, Bitcatcha is the place to start. They have the tools and resources to help you find a better hosting solution if that is an issue on for your website. If nothing else, it is fun to see how your website is doing. 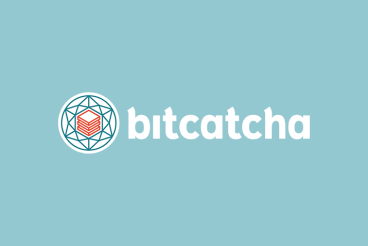 Head over to Bitcatcha and enter your URL. It’s free and will give you valuable information when it comes to thinking about your hosting environment and user experience.